There was never a question of whether we could get coverage for this story, the only question was how much we could get and whether that coverage was positive and carried the messages we and The Royal Mint wanted to get across. Yep, this week we launched the new effigy of the Queen that will appear on British coins from some point later in the year. 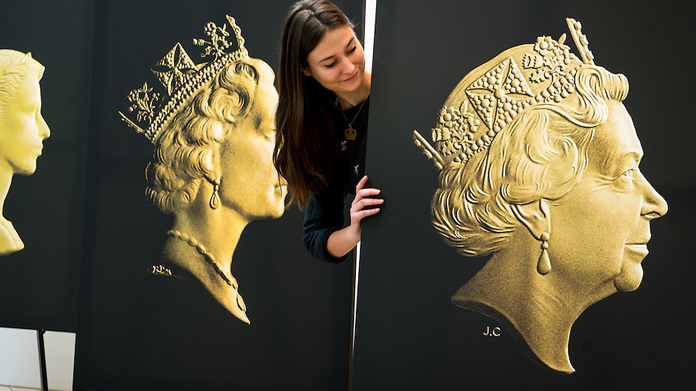 Of course, such a momentous occasion deserved a fitting venue, so we worked with the National Portrait Gallery to exhibit beautiful canvas versions of all five of The Queen’s coin portraits, displaying the evolution of the effigy from 1953 to the present day. As well as senior executives from The Royal Mint, we drafted in broadcaster, journalist and all-round national treasure Nicholas Owen and Evening Standard Royal Commentator Robert Jobson as voices of authority on the topics of history and the monarchy in Great Britain. As the new design was unveiled, a veritable media storm ensued with photographers and reporters from national and international press all vying for their own take on the story. BBC Breakfast broadcast live from the event – creating a fantastic sense that this was a major national cultural event – and that was followed by a packed schedule of interviews with our key spokespeople, including live chats with BBC GNS and the Jeremy Vine show. In-depth pieces appeared online throughout the day containing all The Royal Mint’s key messaging and revelling in the story-telling of such a huge moment for British history. Stand-out pieces include this one for the Evening Standard by Royal Commentator in attendance, Robert Jobson, while a host of others followed – BBC, Daily Telegraph, SKY News, CNN, City AM, Daily Mail, ITV, Daily Mirror, Daily Express … and a fantastic, key-messaging-packed article on The Guardian. This was followed by a clean sweep of the nationals in print the following day, including a front page in The Guardian and a fantastically in-depth analysis from Harry Wallop in The Daily Telegraph. It was a huge privilege to have a hand in unveiling what will come to be the most recognisable portrait of Her Majesty the Queen. As Jonathan Jones so succinctly put it for The Guardian, “it is like having the history of the world in your pocket”.